Clarence Jones was born in Philadelphia, Pennsylvania, graduated from Columbia University and received his law degree from Boston University. By 1960, Jones had joined King’s inner circle of advisors serving as a speechwriter and contributing to the “I Have a Dream” (1963) and “Beyond Vietnam” (1967) speeches. As his private legal counsel, Jones represented Dr. King and the Southern Christian Leadership Conference (SCLC) in the landmark libel case New York Times v. Sullivan (1964) among other cases. 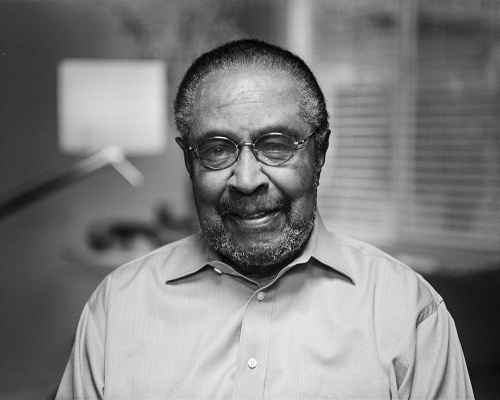 After Dr. King’s assassination Jones acted as a negotiator during the 1971 Attica Prison riots, served as editor and part owner of the New York Amsterdam News, served as a financial consultant with many international governments. Jones was named a Scholar in Residence at Stanford University’s Martin Luther King, Jr. Research and Education Institute, during which time he wrote and published two books about his experiences with Dr. Martin Luther King, Jr. In addition to his accomplishments in the civil rights movement, Jones was the first African-American partner in a Wall Street investment bank listed on the New York Stock Exchange (NYSE).